I received feedback that these photo-guessing contests are too difficult. Fair enough. Here, I think, is an easier one. Where am I? Nailed it! 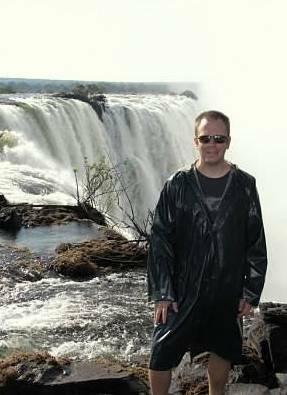 Livingstone Island, specifically, on the Zambian side of the falls. I ate breakfast here with a friend, on this tiny island, as the peak flow mists swirled around us. Unforgettable.